Replacement ears for Zerak. Price per pair. 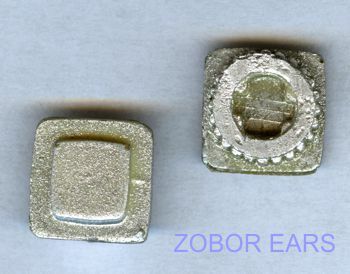 Replacement 'ears' for Zobor. Urethane plastic with metallic silver paint. Price per pair.